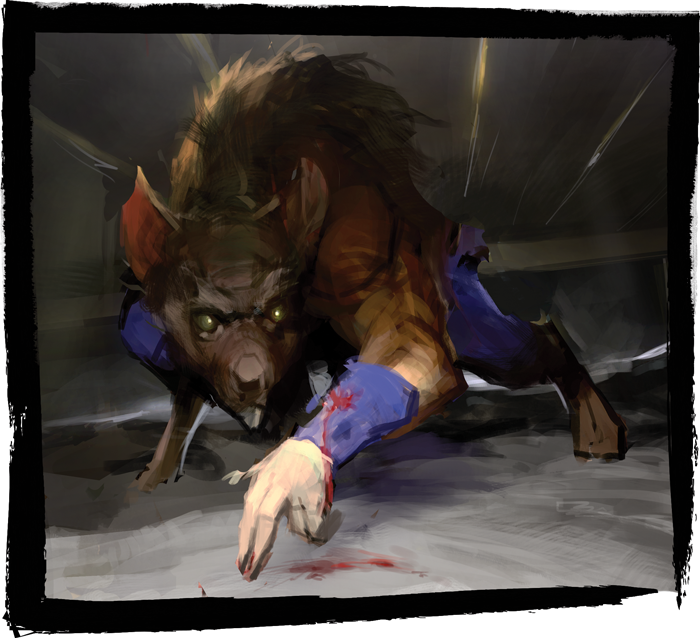 Your trek across the Shadowlands is interrupted when you encounter a group of furry figures with rat-like features. They are armed with rusty spears and wooden sticks, but their whiskers shake with fear as their eyes follow your every move. These creatures, known as nezumi, are scouts of the Knotted Tails tribe, long-term residents of the Shadowlands who seem to be miraculously immune to its Taint. The nezumi are used to the lurking dangers that surround them, but even so, something has them spooked. The tale the nezumi spin offers a disturbing mystery for your band of samurai to solve. Some evil has been picking off their scouts, scavengers, and young ones who wander too far from the firelight. Sometimes a scrap of fur, severed claw, or length of tail is left behind, but other times they just... disappear. No one knows who or what the culprit is, what they do with the taken, and when they may strike again. You are their only chance for help. The nezumi may make a convincing plea, but this task is sure to put you in the path of even greater danger, and you have a mission of your own to keep in mind. You cannot be expected to accept this task out of the goodness of your heart. There must be something in this for you as well, and the Knotted Tails have valuable skills and knowledge to offer in exchange. The Knotted Tails are a tribe that prides itself on remembering the past. Their ancestors were once close allies of the Hiruma family, or at least, so they claim, and they remain protective of the ruins of Shiro Hiruma to this day. If you can piece together the Knotted Tails’ version of the past, you may uncover clues about the history of the Hiruma and their fate, which can ease your struggles later in your adventures in Mask of the Oni. While many tribes tell the tale of their history with the Hiruma family differently, at some point in the past, tragedy struck the nezumi. Their flourishing civilization was destroyed, their home turned into a dangerous wasteland, and their people scattered. Many fled the Shadowlands, but there was no sanctuary for them beyond the Wall. In Rokugan, people called them monsters and killed them on sight. 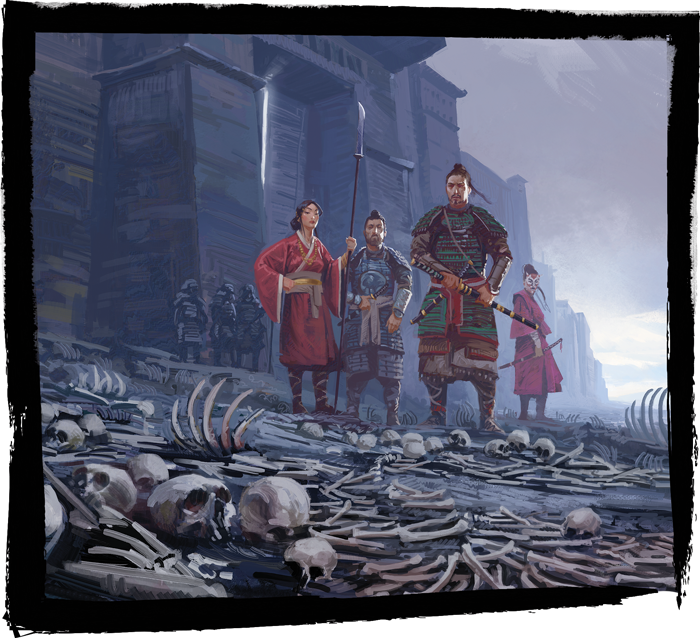 Forced to return to the realm of Fu Leng, they have managed to eke out an existence by hiding from the terrors that thrive in the corrupted land. Despite their mistreatment, nezumi have still been known to help lost scouts and aid with security at the Wall, but this is not true for all, and the vast majority of Crab samurai have never heard of the Knotted Tails tribe. Can you trust these unfamiliar creatures in the heart of Fu Leng’s domain? Do they simply seek to regain their security, or is their story some ploy to take revenge on those who shunned their people and forced them into this perilous existence? The story is in your hands—only you can decide which path to take. A new mission is laid before you. Will you put yourself in harm’s way to help these nezumi or leave them to their fate? 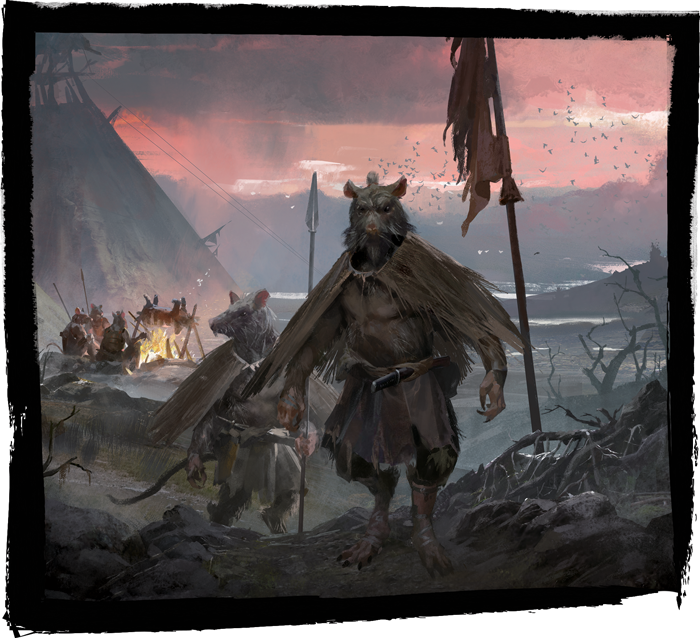 Discover what horror is hunting the Knotted Tails tribe, restore peace to these troubled souls, and progress your adventure in the Shadowlands! 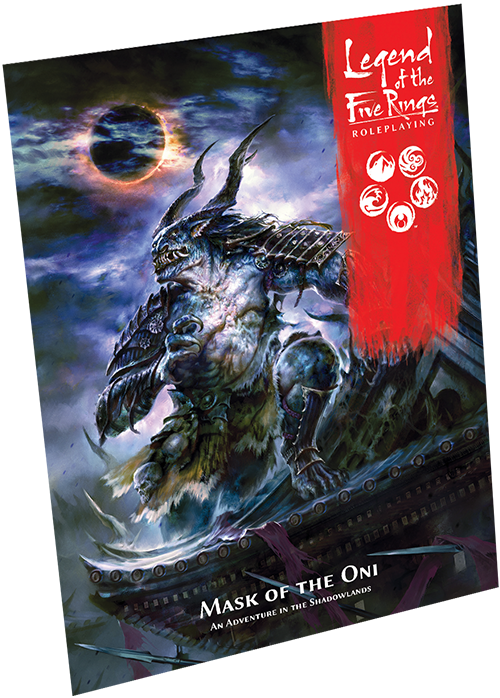 Pick up your copy of Mask of Oni (L5R07) at your local retailer or online through the Fantasy Flight Games website today and download The Knotted Tails scenario here!